For those that have never tried it, chia seed pudding might sound strange. But really, it's absolutely delectable — and healthy. Made with fresh raspberries and homemade almond milk, this raspberry chia pudding is one treat we can't stop eating! For such a small seed, chia seeds are loaded with nutrients. Containing everything from fiber to calcium, it's easy to see why they are considered a superfood. When soaked in liquid, they take on a gel consistency which may seem strange at first — but it's not. As you'll see in this raspberry chia pudding, chia seeds soaked in almond milk for a few hours turn into a thick pudding that not only tastes great, but it's also good for you. 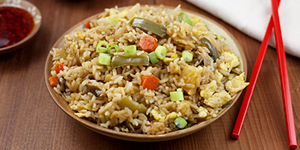 Plus, this tasty treat is filling, so a bowl of it is wonderful for breakfast or a snack. Add raspberries and almond milk to a blender and blend on high until the raspberries have been completely broken down. Pour the blended mixture into a medium-sized bowl. If you would like to remove the seeds, strain the mixture through a fine mesh strainer into the medium-sized bowl. Take a spatula and gently press it against the sides of the strainer if needed to get the raspberry milk through the strainer. Add the chia seeds and coconut and stir to combine. Place a lid on the bowl or cover it with plastic wrap and refrigerate for 2 to 3 hours, or until the chia seeds have plumped up and it has the consistency of pudding rather than milk. 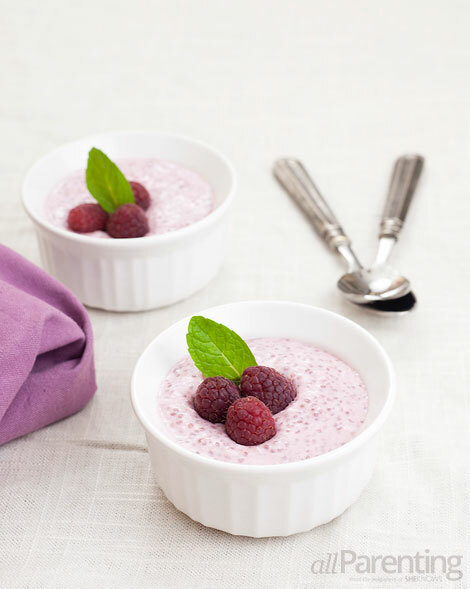 When ready to serve, stir the raspberry chia pudding and spoon into small bowls. If desired, top with hemp seeds, fresh fruit or cacao nibs before serving.